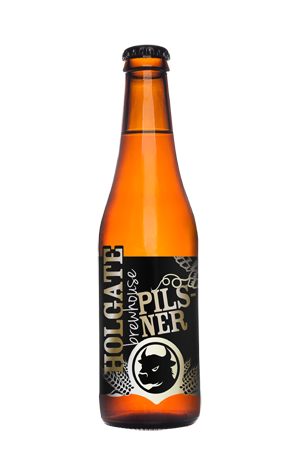 While a big seller for the brewery, Holgate's original Pilsner was always our least favourite of their range. And before anyone thinks we're being out of order saying this publicly, we'd told the brewers how we felt in the past. So we were delighted to hear rumours that they were revisiting the recipe with the intention of creating a more true-to-style German pilsner, using imported Bavarian pilsner malt and increasing the alcohol content. Right from the off the signs are promising, with the sweet aroma that was often present in the past gone to be replaced by the "canned corn" smell from the malt in a medium-bodied beer that pours a very pale straw colour. There's a hint of spice from the hops, some biscuity flavours – and honey as it warms – and a solid but smooth bitterness. As Paul Holgate said at the time of its introduction: "We might lose sales, but we'd rather do that and have a beer that's a better representation of the style." That's the spirit, soldier!